Has Ada Calhoun Just Become the Most Important Voice on Old New York? Is This America's Coolest Street? 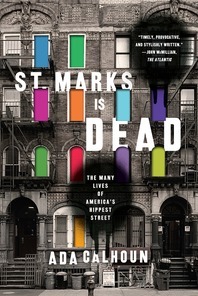 Growing Up on New York's "Hippest Street"
A vibrant narrative history of three hallowed Manhattan blocks—the epicenter of American cool. In a narrative enriched by hundreds of interviews and dozens of rare images, St. Marks native Ada Calhoun profiles iconic characters from W. H. Auden to Abbie Hoffman, from Keith Haring to the Beastie Boys, among many others. 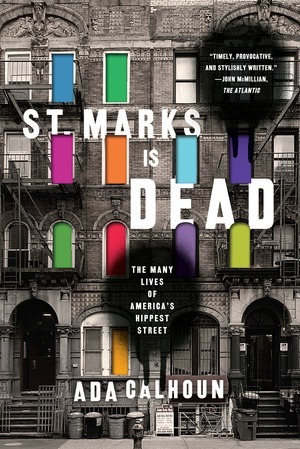 She argues that St. Marks has variously been an elite address, an immigrants’ haven, a mafia warzone, a hippie paradise, and a backdrop to the film Kids—but it has always been a place that outsiders call home. This idiosyncratic work offers a bold new perspective on gentrification, urban nostalgia, and the evolution of a community.